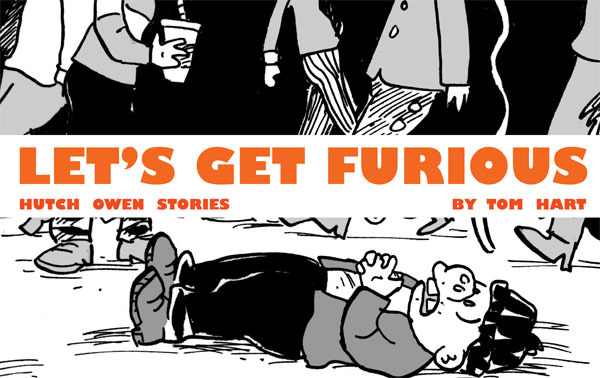 Catalog | Graphic Novels | Hutch Owen (Vol 3): Let's Get Furious! He’s outraged! He’s not going to take it anymore! He’s... not quite sure what to do next. Meet Hutch and his motley crew of lovable malcontents, struggling to make sense of an America that baffles, oppresses, and infuriates them. Collecting the five-year run of Tom Hart’s bitingly hilarious, bitterly optimistic comic strip! -- a 368-page digital exclusive, in landscape format.